ServiceMaster by Monroe Restoration is the most effective, efficient, and high quality restoration service you can find in all of Indiana. What sets us apart is our demand for high quality service and state-of-the-art technology. All our technicians have been properly trained with years of experience. We approach every situation with empathy as well as an urgency to provide you with a safe home to live in. ServiceMaster by Monroe Restoration provides disaster restoration and cleaning services in Michigan City, IN and the surrounding communities of northern Indiana. 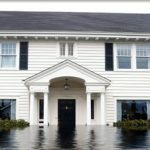 We are proud to say that our reputation has allowed us to continue to grow and provide cleaning and disaster restoration services in both commercial and residential settings across Northern Indiana. 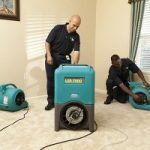 The primary services that we offer include but are not limited to water damage restoration, fire damage restoration, mold remediation, air duct cleaning, carpet cleaning, biohazard cleaning, hoarding cleaning, and construction services. All air duct and carpet cleaning services include free estimates. Our staff is dedicated to providing high quality customer service throughout Indiana and assisting our customers in their time of need. Disasters can completely blindside a community and tear it apart and we are dedicated to helping piece it back together. Contact us 24 hours a day, 365 days a year at (574) 231-7179 for all emergencies that require assistance in Michigan City, IN and surrounding areas. 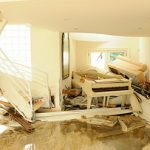 Water damage is one of the most common and unexpected disasters. Water damage is so common because anything from a pipe burst to a flood in the area can lead to severe water damage in your home. Water spreads fast and travels quickly. Immediate treatment is a must because this will leave your home susceptible to mold damage. When you first notice water damage, contact ServiceMaster by Monroe Restoration immediately. We will respond quickly in Michigan City, IN and assist you faster and more efficiently than any other restoration service in the area. We will work tirelessly to make certain that the damage to your home has been remediated 100%. 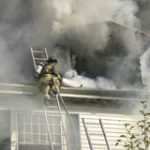 Anyone that has had a major fire in their home will tell you just how devastating a fire is to a community. A fire will engulf your home in a couple of moments and leave your items seemingly destroyed. While your items may appear destroyed, it is possible that they can be restored if you act quickly. Our technicians at ServiceMaster by Monroe Restoration have been properly trained to restore fire and smoke damage in your home or business in Michigan City, IN. We will assist you in choosing whether to dispose of or restore your belongings. Our high-quality technicians will turn the devastation into remediation. Mold is a very common disaster to have in a home. If not treated immediately, mold will spread at an alarmingly fast rate. Building materials found in most buildings are a food source for mold and when combined with some sort of moisture, this gives mold the perfect environment to grow. ServiceMaster by Monroe Restoration will eliminate all evidence that mold was ever a problem in your home or business. We will permanently eliminate the source of mold from ever becoming an issue again. 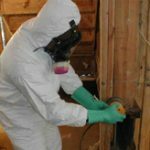 We provide mold remediation services for houses in or near the Michigan City, IN area. When walking into any home or business, the carpeting in the room will immediately grab your attention. However, for your room to appear clean, it is important that the carpet is regularly cleaned. Dirt and other debris is constantly caught in the carpet fibers from constant foot traffic. Without regular maintenance, your carpet will not only appear dirty, but also need to be replaced in a couple of years. 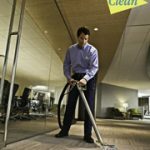 Contact ServiceMaster by Monroe Restoration to elongate your carpet life and remove all dirt and debris with our carpet cleaning services in Michigan City, IN. Our technicians are highly trained with the most high-quality equipment in the business. If you have noticed a steady incline on your heating and cooling bills over the past year, it may be time to have your air ducts cleaned. When your HVAC system has a buildup of dirt, dust, and debris, it will consistently make your heating and cooling bill increase. Not only that, but it will also trigger allergies and could lead to respiratory problems. Make sure that you and your family are breathing healthy and not paying more money than you should. Contact ServiceMaster by Monroe Restoration for air duct cleaning in the Michigan City, IN area. Our technicians will work to make sure you have the lowest heating and cooling bill possible! When you or your family has witnessed a death, suicide, or serious accident, it can be very traumatizing. The trauma can be so devastating that cleaning up the mess left behind is an afterthought. We at ServiceMaster by Monroe Restoration understand just how difficult this is and are here to help. 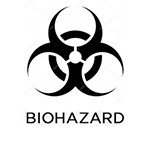 Cleaning up biohazard material can be difficult not only emotionally, but it is also dangerous if you do not have the proper training or equipment. ServiceMaster by Monroe Restoration offers biohazard cleaning services for individuals in the Michigan City, IN area. We sympathize with your situation and are here to make the cleanup as painless as possible for you. 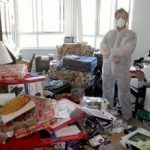 Hoarding is a mental illness that can be extremely difficult to live with. When an individual has extreme anxiety to the point that they cannot part with items such as newspapers, old clothing, and garbage, it may be possible that they suffer from hoarding disorder. This mental illness can make a home unsafe to live in as the hoard of items grows and harbors germs and diseases. In order to make you or your loved one’s home livable again, ServiceMaster by Monroe Restoration offers hoarding and estate cleaning services in the Michigan City, IN area. To respect the privacy of the individual, our service team arrives in an unmarked van. We treat hoarding as what it is, a mental illness. This means approaching the situation with as much sympathy as possible. Our technicians are here to help and will make the hoarder’s home safe again. Sometimes a disaster is so serious that remediation just is not an option and when this happens, it is time to reconstruct. Reconstruction is a serious process and we have taken steps to assist you with painters, contractors, and other service technicians. We know how difficult it can be to see your home destroyed, so we have hired the most talented team in the state to assist you to rebuild your home to 100% safety and stability. Our construction services are offered to Michigan City, IN and surrounding areas. Tile and grout surfaces are very common in homes because they are the best option for flooring and walls in your kitchen or bathroom. Tiles are made from sturdy materials that can handle heavy use and they are moisture resistant. However, as the tile finish wears off, these surfaces can experience dirt and moisture accumulation that can lead to stains and mildew growth that will affect the appearance of the tile and grout. 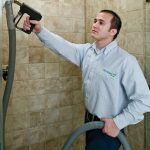 ServiceMaster by Monroe Restoration provides professional tile and grout cleaning services for homes in Michigan City, IN. We use state-of-the-art equipment to effectively remove dirt, stains, and mildew from tile surfaces and grout lines.